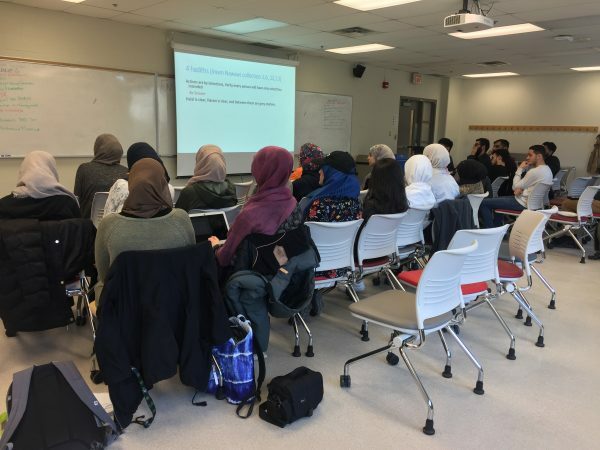 The McMaster Muslims Students’ Association recently held Finding Your Momentum, a leadership and empowerment workshop specifically curated for Muslims. Its objective was to increase youth engagement to improve community involvement. While MacMSA maintains a busy calendar, the process of organizing this event began well before the school year started. While decisions were being made around the structure of MacMSA’s exec-director team, the team realized a recent and significant drop in engagement with the association and the community. Typically, directorship positions with the MacMSA would attract about 50 applicants each, in recent times however, these numbers have significantly dropped to one or two applicants. The senior executives became worried about MacMSA’s future leadership and lack of engagement with younger cohorts. MacMSA leaders also saw a lack of Muslims being represented in leadership positions in the McMaster community, such as through the Student Representative Assembly. Feedback gained from focus groups found a common rhetoric of Muslims opting out of leadership positions to focus on academics. They also found that many individuals were under the misconception that they are not needed by the community. One workshop attendee and MacMSA representative noted that a lot of students experience a lack of confidence in their abilities and felt that they aren’t equipped with the appropriate skills to take on leadership responsibilities. The Finding Your Momentum workshop was created in response to these concerns. The MacMSA team realized that they needed to empower their members and create a space where attendees can have open conversations about bettering themselves as Muslims and leaders in the community. While one of the aims of the workshop was to increase attendees’ engagement with the community, the MacMSA team had to first figure out a way to increase engagement with the workshop itself. From previous experiences, the organizers found that many people needed someone to both encourage them to participate and attend the event with them. This was often facilitated through invitations by word of mouth. The organizers of Finding Your Momentum took advantage of this promotion strategy, and it worked. One attendee noted that in order to facilitate empowerment, individuals need someone to give them a little push of encouragement and support. “When you hear ‘word-of-mouth’, you think of just going and telling someone ‘hey we have an event, just come’. But it’s actually investing in the Muslim community on campus…A part of being a leader is having a community that can look up to you and support your vision,” explained Faryal Zahir, MSA Director and Finding Your Momentum organizer. This workshop consisted of interactive activities and discussions that focused on introspecting on attendees’ relationships with themselves and others. There was also a focus on utilizing leadership opportunities to serve the community and building connections. At every MacMSA event, building connections is a recurring goal. 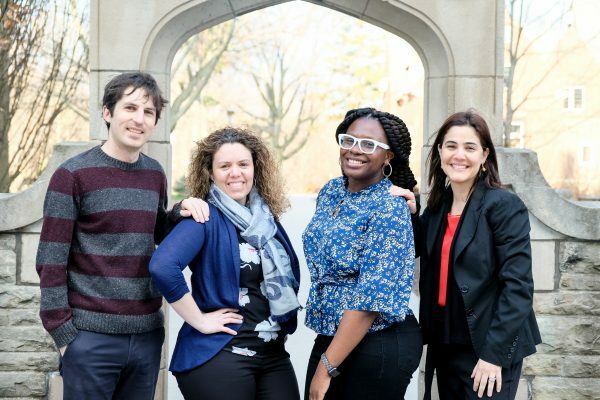 The team believes that building connections enables individuals into action. Finding Your Momentum, like other MacMSA events, aims to break down the barriers that repress interaction, and encourage attendees to have one-to-one connections, first with themselves, then with their peers and greater community. 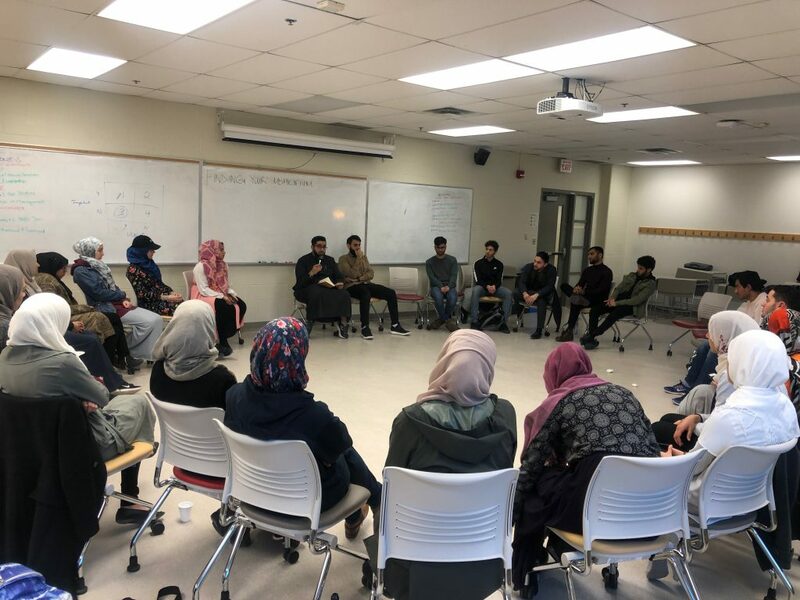 Time will tell if the MacMSA achieved its goal of encouraging workshop attendees to take on more leadership positions, but one thing is for sure – Finding Your Momentum created a much needed space for empowerment and meaningful engagement for Muslim youth.